Home » Horses » What If There Were No Obstacles? I am really excited to be working with horses again! 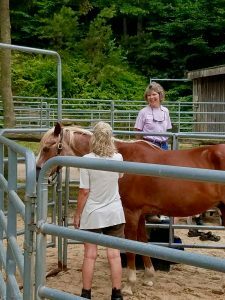 I have been taking horsemanship lessons at Emerald Hollow in Brewster and I’m partnering with Liz Adams, the Program Director for the Emerald Hollow Therapeutic Riding Center (https://www.emeraldhollow.org) to offer a few innovative programs using horses (some, even with “Coaching with a Horse” segments!)! 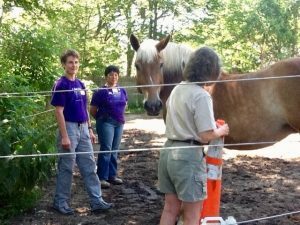 Doing this amazing work with the horses reminded me of a workshop I attended a number of years ago with one of my fellow coaching colleagues, Monique Morimoto Flaherty. When I participated in this workshop it had been a while since I had worked with the horses and I was so excited to be spending time working with them again! 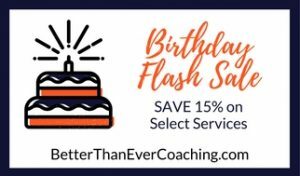 When I joined Monique (the coach), Nicki (the BodyTalk expert) and Belle (the horse) in the paddock, we began to discuss the topic I wanted to address — my lack of forward movement in creating my own horse/coaching programs. Immediately after stating what I wanted to address, I was given an exercise that involved me positioning some physical items (e.g., a cone, step stool) in the paddock. These items were going to represent the roadblocks (e.g., I don’t have a connection to a local horse farm) that were keeping me from attaining my goal. Theoretically, once I had these items defined and positioned, I was to walk Belle around these roadblocks to see what messages and insights I gained from Belle and her behavior. The first step in this exercise was to pick up the physical items and place them someplace in the paddock. Sounds simple, doesn’t it? As Monique was talking about these obstacles, Belle, positioned herself completely and solidly between me and these “obstacles”! I could no longer see these “obstacles” at all! Then, Monique, once again, started to request that I physically pick up the obstacles. Before she could finish giving me the directions, Belle had positioned herself between me and Monique! What I learned from working with Belle was that I am very capable of creating the horse/coaching programs I want to offer. Additionally, I can offer these programs confidently, without allowing any obstacles to get in my way! When have you allowed obstacles to prevent you from doing something you really want to do? Was it a “real” obstacle getting in your way? Or, did you create an obstacle? 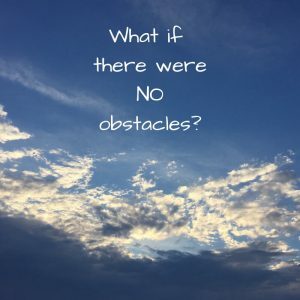 How would the situation have changed for you if there were no obstacles? For me, the discovery that there were no obstacles in this situation was amazing! It created a sense of excitement and eagerness to move forward. It also caused me to stop and think about how long I had allowed this obstacle to keep me stuck. And, I also realized that I have created obstacles in other situations when in fact there really weren’t any (e.g., when I wanted to leave Corporate). Asking yourself, “What if there were no obstacles?” when you’re feeling stuck can often have a profound effect.